If you are looking for sod delivery and installation services in Cape Coral or the Fort Myers area call McFarlane's Lawn & Landscaping at 239-220-8709 today and request a free quote. 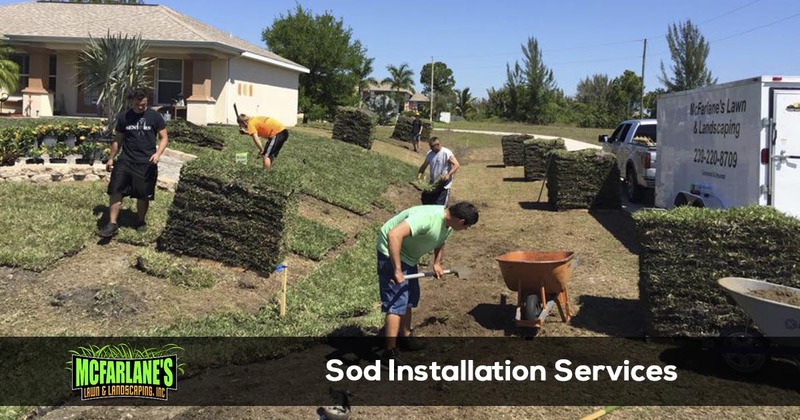 We have been providing sod installation services in the area since 2010 and have a reputation as the best sod installation service in Cape Coral and the Fort Myers area. McFarlane's Lawn & Landscaping offers a variety of grass types for you to choose from based on your needs or existing grass. 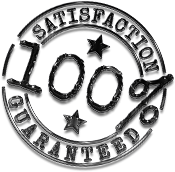 We offer St. Augustine (Floratam & Palmetto) Grass, Bermuda Grass, Zoysia Grass, and Argentine Bahia Grass. St. Augustine grasses are the most commonly planted turf grass in the State of Florida. When properly cared for it produces a dark green dense grass that produces runners and spreads quickly to give you a lush green lawn. Bermuda grasses perform well for waterfront properties because it tolerates the salt content of the soil better than most other grasses. Bermuda does not grow in shaded areas and turns brown during the winter months. Zoysia grasses also perform well for waterfront properties as they tolerate salt better than most other grasses. Zoysia however will grow in shaded areas and is a slower growing grass so it will recover slower to any damage that may occur to the lawn. Argentine Bahia grasses are one of the most economical sod choices but are more difficult to maintain due to their leaves and seed stems. These lawns will need mowed every week with sharp mower blades to keep them looking good. They also will yellow during the spring and fall and do not perform well in salty areas. If you are in need of sod installation for your home or business in Cape Coral, Fort Myers, or the North Fort Myers area give McFarlane's Lawn & Landscaping a call at 239-220-8709 today for a free quote.